M.Ed. 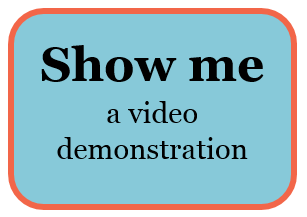 Research Guide and Library Resources: How do I search for them? 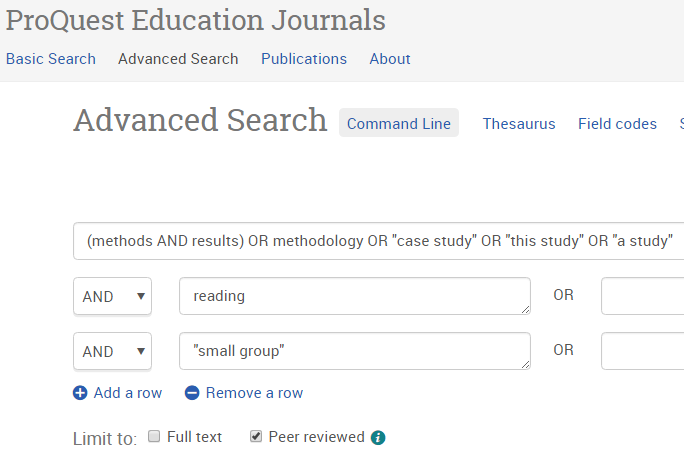 You can search for primary research articles in a similar way that you search for other peer-reviewed articles. 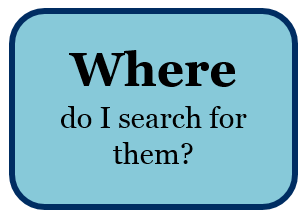 From your list of results, you can sift through to look for primary research. If you have hundreds or thousands of results and want to try to focus your search on primary research articles, there are three different techniques to try. Add the following row of keywords to your search: (methods AND results) OR methodology OR "case study" OR "this study" OR "a study". You will want to copy and paste this entire row of keywords into its own search box (see first example below) in an individual education database. Important! 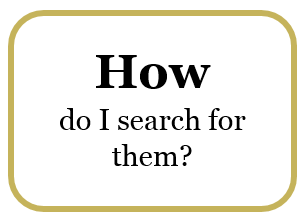 From your list of results, you will still need to examine each article to see if it is primary research and not a synthesis of others' research. All of these results are generally primary research articles, but keep in mind that while all case studies are primary research, not all primary research is in the form of a case study, so you will likely be missing some primary research articles on your topic by searching this way. Finally, in the ERIC database, you can choose "Reports - All" and/or "Reports - Research" under Publication Type when searching for primary research articles. 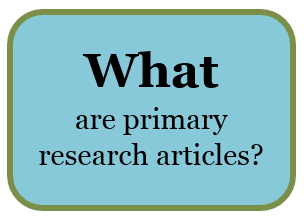 << Previous: What are primary research articles?